Sambot Taon – How the Straits Chinese celebrated the Chinese Lunar New Year in the past! Children in the early days were dressed elaborately. 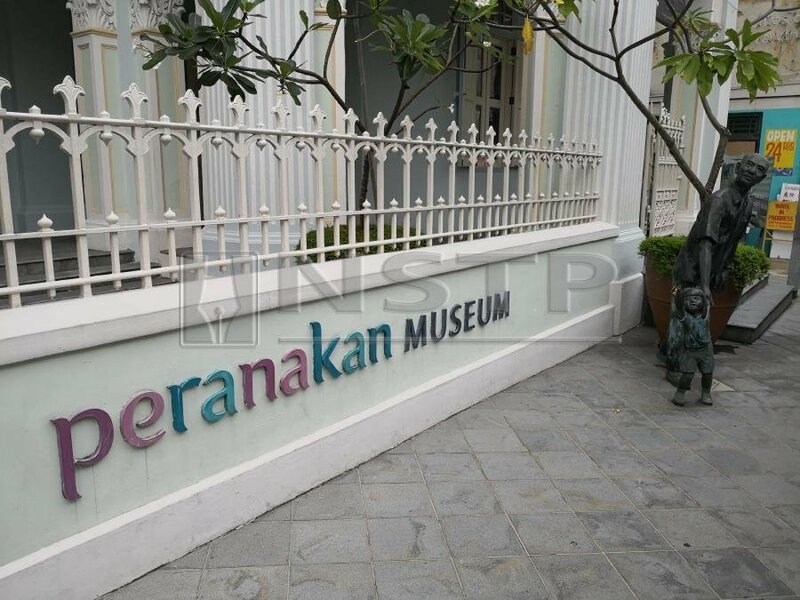 "The Peranakan Museum will close from April 2019 and only re-open in mid-2021. Since you’re in Singapore now, why don’t you drop by to have a look at the amazing exhibits on display?” suggests my Singaporean friend when we met for lunch at a restaurant near his Marina Bay Financial Centre workplace recently. With the Chinese Lunar New Year less than a week away at the time, my friend, a Straits Chinese, went on to regale me with tales about how the festive period was celebrated in the past at his ancestral home in Joo Chiat, an affluent suburb on the eastern part of the island. He finally succeeded in getting me to agree to visit the museum when I realised that there were only two days left to view Amek Gambar, an extensive photographic exhibition offering a rare glimpse into the opulent lifestyle of the Peranakans throughout this region during the early 20th century. 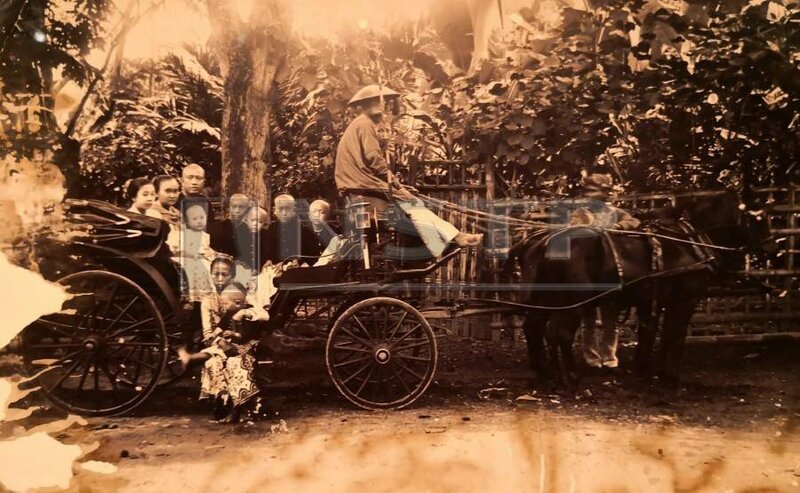 "The photographs will give you a better understanding of how the Straits Chinese sambot taon (which literally means welcome the new lunar year in the creole dialect of the Malay Language called Baba Malay),” my friend added persuasively. "Sambot taon is the most important festival of the year for the Straits Chinese and involves a series of auspicious activities to retain all the good fortune from the previous year as well as hope for an even better year ahead," he added with finality before promising to meet me at the museum later that day. The Peranakan Museum in Singapore is located in Armenian Street. The Peranakan Museum in Armenian Street lies at the slopes of Fort Canning Hill. Once home to the Tao Nan School, this sprawling three-storey building now showcases Peranakan cultures in the Straits Settlements of Melaka, Penang and Singapore as well as those of related communities throughout Southeast Asia. Before long, the mesmerising collection of photographs on the first and second floor galleries together with the exhibits on display in the other parts of the museum begin to give me a glimpse into the festival that best reinforces the tenets of filial piety and gratitude to the elders and ancestors. Before the advent of cars, horse carriages were important modes of transportation. 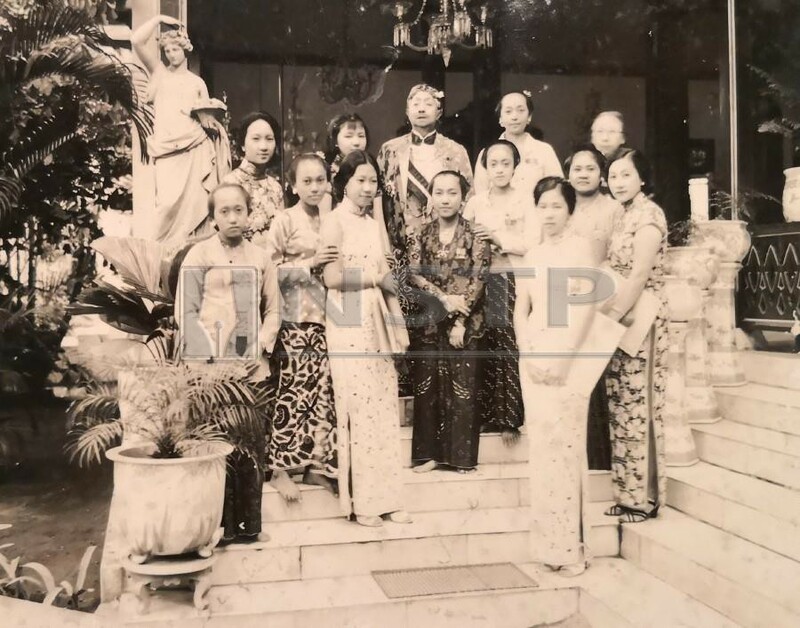 In the weeks leading to sambot taon, prosperous Peranakan families give presents of dress material and jewellery to their relatives and employees as a goodwill gesture of sharing abundance and surplus. This is often seen as a continuation of a custom in ancient China where people exchange premium tea and fruits with each other during the Chinese Lunar New Year. Presents of certain food items bear symbolic meaning to the Chinese. For example, the word for orange or tangerine has the same intonation as gold in most Chinese dialects. As such, receiving a basketful of these popular citrus fruits is akin to getting one that’s filled with gold. Preparations for sambot taon begin in earnest on Chinese Lunar New Year eve. This is the time when the womenfolk in the house are at their busiest, laying out symbolic items of productivity and prosperity on the altars to appease the departed and deities as well as cooking up a storm for the reunion dinner. On the main prayer table would usually be three combs of pisang raja arranged in the fashion of a blooming lotus, 15 sticks of skinned sugarcane of equal lengths neatly stacked into a pyramid and 12 of the best and juiciest mandarin oranges raised three levels high. These offerings would be banded with red paper that has been carefully cut to give them interesting patterns and serrated edges. A fresh pot of rice would be cooked after the reunion dinner where a portion would later be scooped into a dessert bowl and placed on the altar while the remainder would be left overnight in the kitchen to signify surplus from the year before. Uncooked rice and water storage containers are also filled to the brim with this same intention. Prospects for the future are interpreted from the colour of the mould growing on the rice just before the altar is cleared on the fourth day of the Lunar New Year, a date that coincides with the return of the Kitchen God after making his annual report about each family member’s behaviour to the Jade Emperor in Heaven. The colour of orange, black or both signify good, bad or a combination of both prospects respectively. Wealthy Peranakans sometimes engage bands to entertain guests at their palatial homes. The final evening prayers are held as a precursor to the main ceremony on Lunar New Year morning. After that, new candles replace the burnt out ones and the floor is given its last mop as cleaning or sweeping it on Lunar New Year's day would be tantamount to removing all the good luck and prosperity for the house and its occupants. The same goes with clearing debts accumulated during the year with those within the household as well as outsiders. Once everything has been done to the satisfaction of the matriarch, the main door would be bolted shut and would only be opened when the auspicious hour to sambot taon arrives the next day. In the olden days, this practice was a convenient excuse for everyone to hit the sack early and wake up fresh. 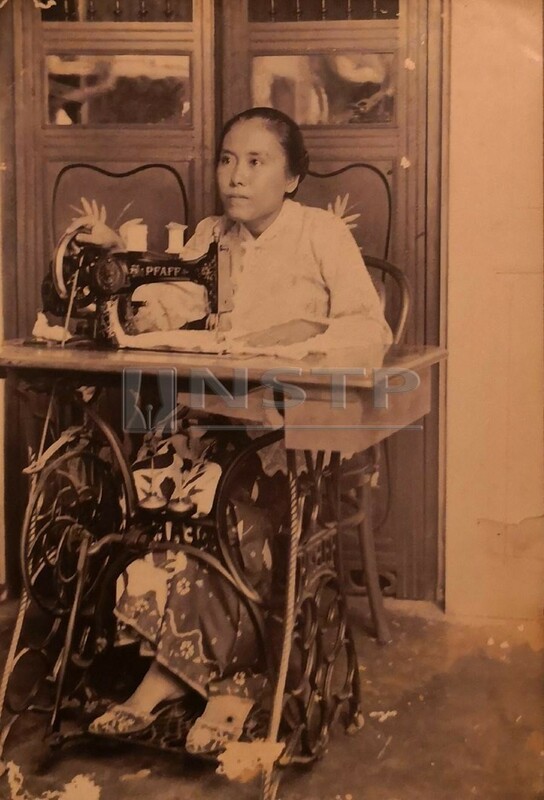 People used to sew their own clothes at home. The appropriate time to sambot taon varies but in general it’s always within two hours after 6am. The first act involves switching on all the lights in the house to attract good luck. After their baths, family members would put on new clothes that have been made months ahead and join the patriarch as he opens the main door and offer prayers to deities at the altar. After planting joss sticks in urns and burning joss paper folded in the shape of ancient Chinese gold ingots, everyone would gather outside to set off firecrackers to signify the end of prayers, ward off evil spirits and, more importantly, create a mood of joyous festivity. Chinese Lunar New Year is the best time to take photographs that will serve as timeless keepsakes. Back indoors, family members, arranged in order of seniority, take turns to pay respect to their elders. In a practice seldom seen today, the men would kneel and bow their heads while the ladies squat with their hands clasped and feet together. The younger members would then wish their seniors panjang umor, murah jereki (long life and abundant prosperity) and in return receive blessings like chepat besair (grow healthily), panday surat (excel in studies), untong slalu (profitable business) and rengan jodoh (ease of finding a life partner). Elders already in advanced years or in ill health usually prefer wishes of badan kuat-kuat (good health) over panjang umor (prolonged life). As a reward, they’d hand out ang pows (red packets containing money) to unmarried adults and children. In their first year of marriage, newly-wed couples receive a pair of red candles in lieu of ang pows for good luck. In the olden days, children would be tasked with delivering home-made delicacies in a bakol siah (lacquered basket) to their Malay and Indian neighbours who would in turn return the receptacle filled with fruits and sweets. This tradition kept alive the practice of reciprocating gifts received during Hari Raya and Deepavali. This symbolic gesture of mutual respect to people of other races in our multi-cultural society is still practiced today. However, plain-looking plastic containers are used these days in place of the richly decorated bakol siah which has become a valuable collectors' item. 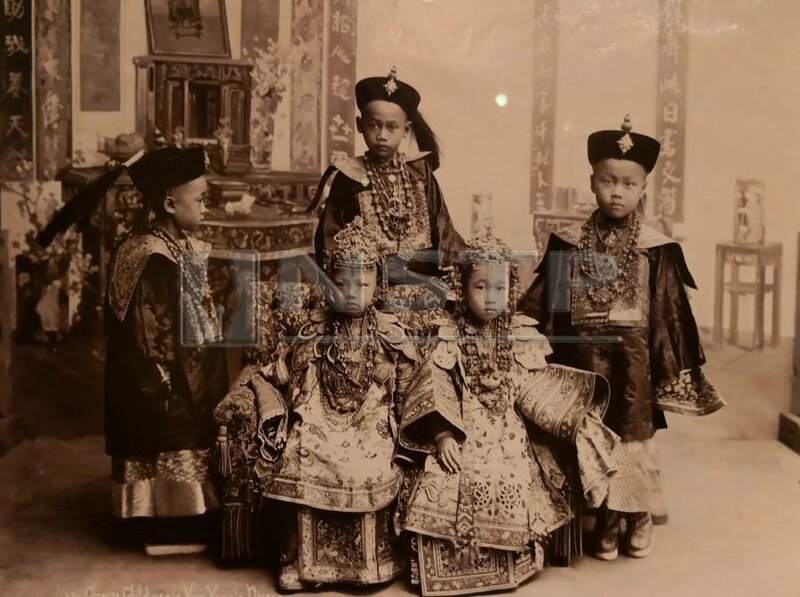 Photographers occasionally visited Peranakan homes to take family portraits. 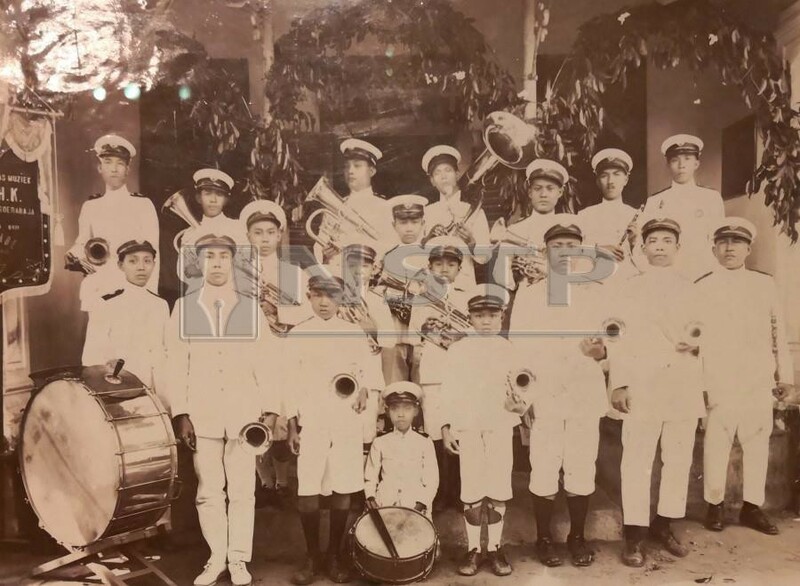 Once all the necessities has been dispensed with, some Peranakan families would head off to their favourite photo studio to have group portraits taken before visiting relatives and friends. 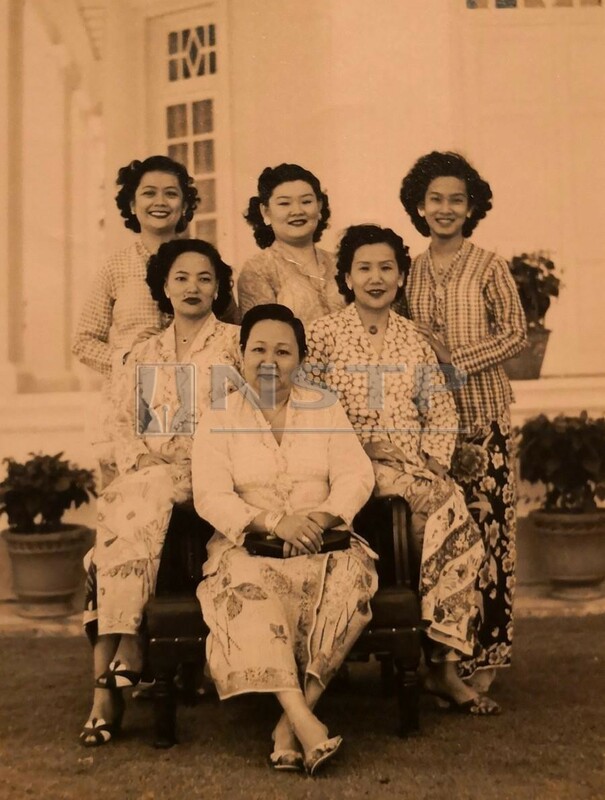 At this juncture, my interest is piqued as a section of the Amek Gambar exhibition highlights several interesting family portraits and traces the change in styles as preferences changed over the past 160 years. 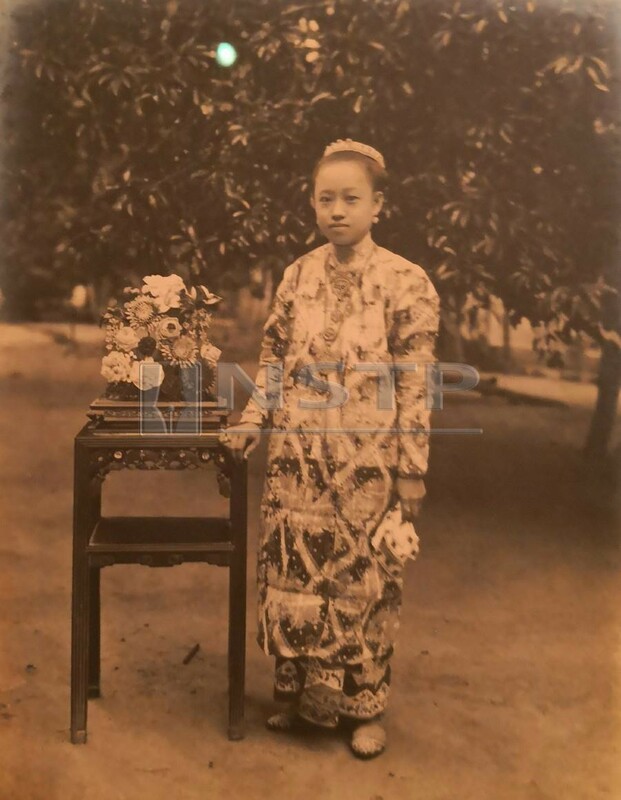 It all started when itinerant Chinese portrait painters began appearing in Malaya together with scores of immigrants in the 1850s and catered to the needs all segments of the population. With the increasing popularity of photography just a decade later, many of these painters wholeheartedly embraced this new technology and offered services both as artists and photographers. In the 1860s, Japanese photographers began arriving in Malaya by the droves. 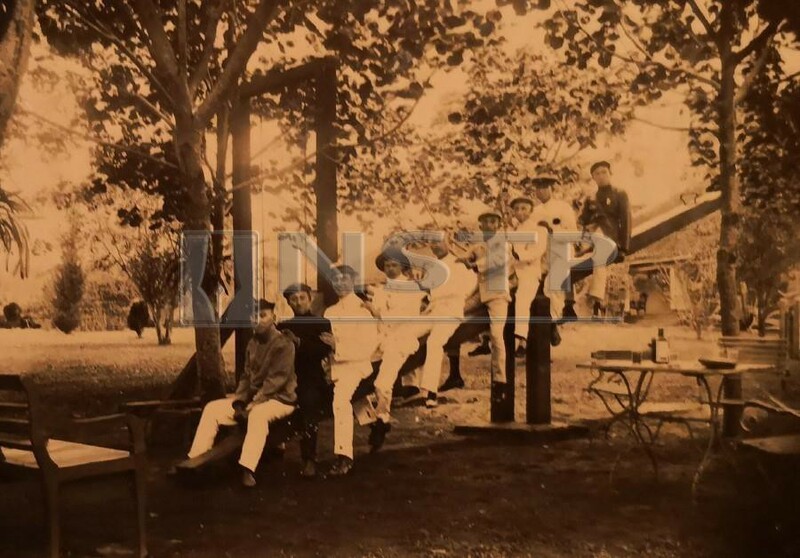 With no place to call permanent home, the men from the Land of the Rising Sun travelled from town to town, staying as long as there was a demand for their services. Photo studios remained popular for the next 100 years. Their decline in the late 1970s was marked by the introduction of cheap and easy-to-use compact cameras. Chinese Lunar New Year is a time for friends to get together and renew ties. Just after the section displaying an array of early cameras, I come across a small photograph showing a group of people in their New Year finery posing by a tomb. Despite its inferior size and slightly off-focus nature, the image serves as a pertinent reminder of a unique practice still observed by some Peranakan families in Melaka to this day. Historians believe that this tradition of visiting ancestral tombs on the first day of the Chinese Lunar New Year had been adopted from the Malays who offer prayers, flowers and scented water to their deceased loved ones at cemeteries on the morning of Hari Raya. During these visits, the Melaka Peranakans would honour their ancestors with fruits and burn incense. 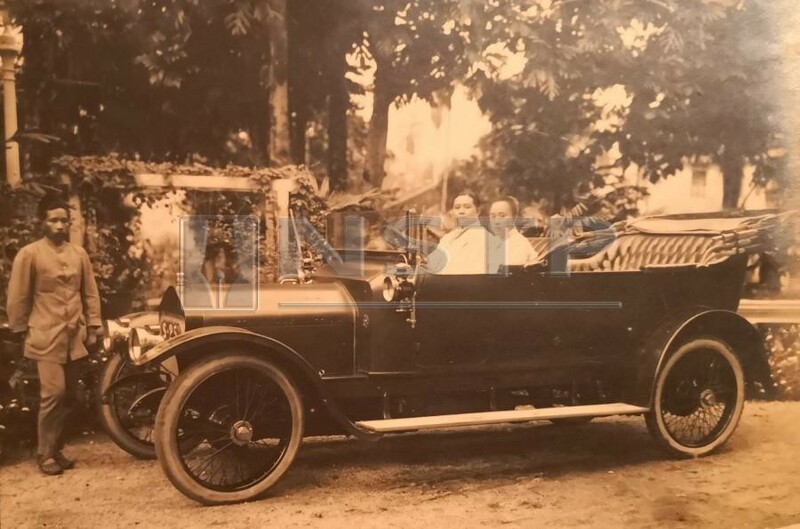 Wealthy Peranakans used cars when they went out visiting friends and relatives. When it comes to Lunar New Year visitations, the Melaka Peranakans usually start off with a visit to the 350-year-old Cheng Hoon Teng temple, a place which they fondly refer to as Kebun Datuk, to pay homage and seek divine blessings from Hood Chor (Goddess of Mercy Guan Yin) and their ancestors. After that, relatives would be visited in order of seniority. The exchange of good wishes and pleasantries are time consuming and would go on until late into the night. During this period, it’s the norm for elders to dudok rumah (remain in their homes) and wait for the younger relatives to drop by and pay respects. Only those in mourning are exempted from visiting relatives during the Lunar New Year. At the same time, their homes do not feature as stopovers in any visitation list. However, it remains the duty of close relatives to present gifts of kueh bakol (a type of sticky glutinous rice cake) to their unfortunate kinsmen who are customarily disallowed to bake this essential Lunar New Year delicacy. Friends having a great time outdoors. "These photographs are really marvellous, aren't they?" remarks my friend the moment he catches sight of me at the tail end of the exhibition. His arrival makes me realise that the past few hours have flown by in a flash. Walking past the last few photographs, I confide to my friend how this photographic exhibition and the museum, as a whole, have opened my eyes to the unique culture of the Peranakans who have retained most of their ethnic and religious origins, including ancestral worship, and yet have assimilated so seamlessly with the language and culture of the Malays. With Peranakan culture slowing losing its appeal in our modern world, I find it extremely heartening to hear from my friend that there have been concrete efforts made to stem the tide of decline. Young people from both Peranakan and non-Peranakan family backgrounds are starting to show an interest in learning and speaking the Baba language while the shapely kebaya and sparkling intan jewellery, especially the kerongsang, are slowly making a comeback. These signs certainly bode well for all of us as the Peranakans are, and will always remain, an important link in the social fabric that holds each member of our multi-racial society together as one.